Create your own action figures! 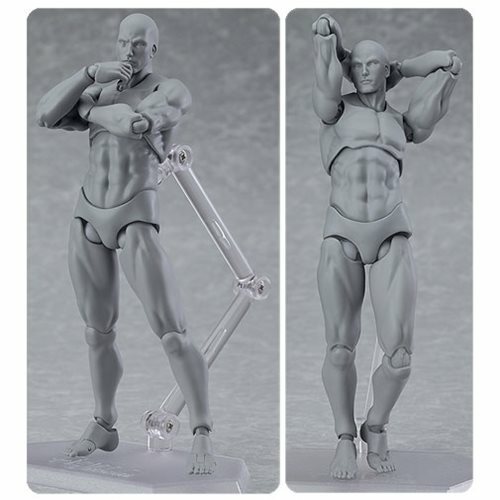 The Male Gray Color Figma Archetype Next Action Figure features realistic proportions in a gray color that is great for designers. The figma can easily be used as a model for illustrations or manga, and can also be used as the base for your own customized action figure. Using the smooth yet posable joints of figma, you can act out a variety of different scenes with the figure. An articulated figma stand is included and allows various poses to be taken. Measures about 5 1/2-inches tall. Ages 15 and up.